Facials for skin care maintenance as well as skin care goals. 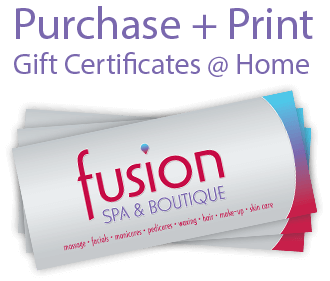 At Fusion, we offer a variety of facials for skin care maintenance as well as skin care goals. Correct damage from previous sun and environmental damage, prevent future damage and protect against the future aging. Acne control and treatment. See our extensive menu of facials below. Steam cleanse, exfoliation, 2 masques, warm towels and extended massage for your face, hands and feet. Your face will feel incredibly clean and refreshed. Steam cleanse, exfoliation, one masque, warm towels, hands and feet massage. Your face will feel incredibly clean and refreshed. Enjoy our Classic Facial in a private room for 2. Enjoy our Fusion Facial in a private room for 2. Topical cleanse, light exfoliation, masque moisturizer & warm towels. A facial designed specifically for the back and its unique issues. Enjoy a deep cleanse, exfoliation, hydration, warm towels, & custom masque. 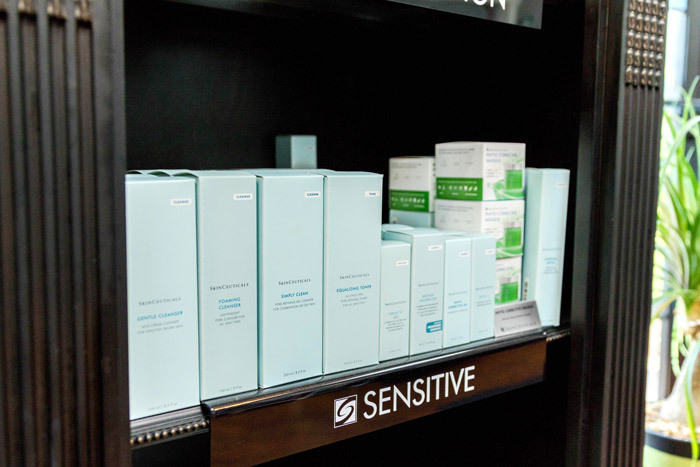 The following specialty facials include all the pampering you love in our Classic Facial with the addition of customized products to target specific skin concerns. Quench thirsty, dry, dehydrated skin with this specialty facial utilizing Hyaluronic acid and vitamin B5. The result?…A plump, dewy radiant complexion! Target environmentally stressed, damaged skin with a revolutionary antioxidant combination including Vitamin C. Stimulate collagen, increase firmness, tone, and clarity while providing unparalleled free radical protection. 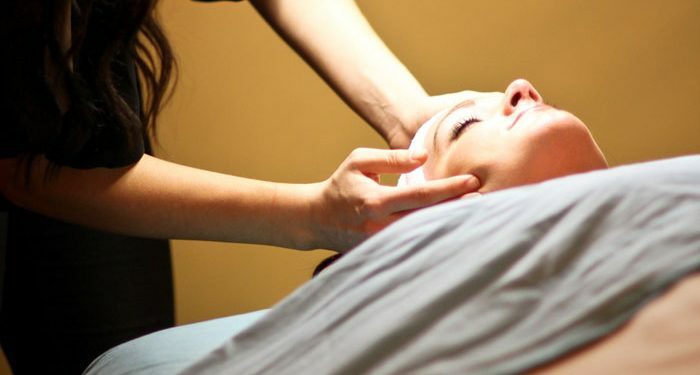 Pamper even the most sensitive of skin with this specialty facial. Soothe irritation and calm redness with a perfect balance of cutting edge ingredients. Reveal clearer skin with this deep pore cleansing facial. Problem specific masque, cleansers, toners, and serums are utilized to absorb excess oil, clear pores, and balance Acneic/Oily skin. Extractions included if needed. We also offer Professional Skin Care Treatments. See our extensive menu here. Increase circulation of the blood under the skin allowing the renewal of skin cells, decrease waste underneath the skin that can cause puffiness, ruddiness, and fluid accumulation by manipulating the lymphatic system that lies just under the skin. Facials also aid in detoxification! 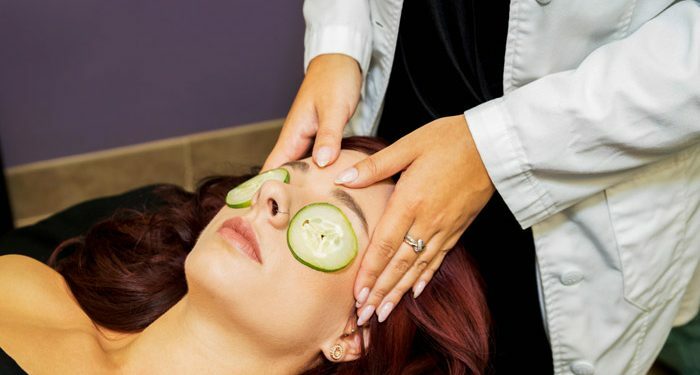 A good facial (and facial massage) can help smooth fine lines and promote collagen production, which is the building block of the skin (to prevent premature aging, wrinkles, and sagging). 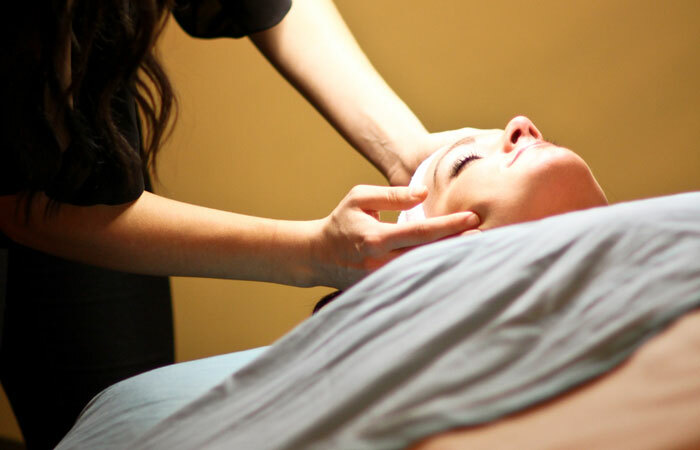 A facial will cleanse the pores on a much deeper level. Similar to a good dental cleaning, this is what a facial can do for the skin/pores. It can also help even skin tone and lighten dark spots. Facials slow the aging process. They allow your skin to feel healthier, smoother, & look more radiant. 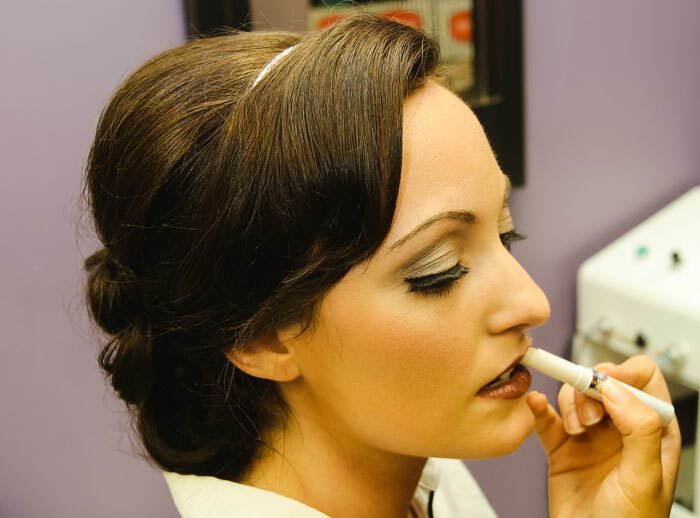 We offer temporary lashes for special occasions. We also offer Revitalash lash conditioner! Form of tattoo brow artistry utilizing semi-permanent ink creating a natural, full looking brow. At Fusion we use bareMinerals make-up line and all products are available for purchase in our boutique! Check our upcoming events to see if there are any make-up classes this month. 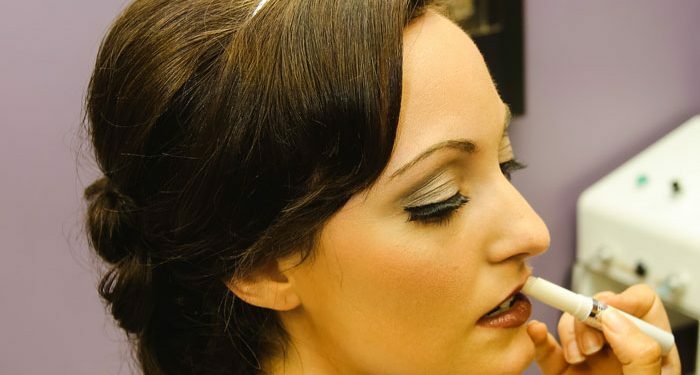 Schedule an appointment with one of our trained cosmetologists for your individual make-up session! Perfect for parties, special occasions, an evening out or to get a tutorial on application and products right for you! *Please note (M) denotes Membership Rate! 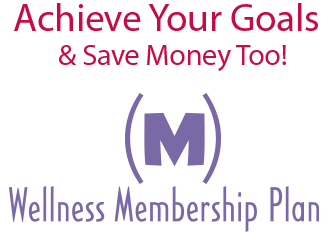 To learn more about our Wellness Membership click here.